Synopsis : Little does Ashwin Jamwal know that the last twenty-five years of his life have been controlled by a master manipulator, who wanted to make him the most powerful man on earth, though for a reason! Ashwin steps up to take oath as the youngest Prime Minister of India and is unknowingly thrown into a vortex of power and authority as the entire world is threatened by a faceless enemy — Hades. My View : A story of power, betrayal and thirst to succeed is what drew me in towards this book. The powerful opening lines pricked my skin and I was once again faced with the realities of daily life and moral dilemmas. When fiction is mixed with naked truth, a masterpiece is created. 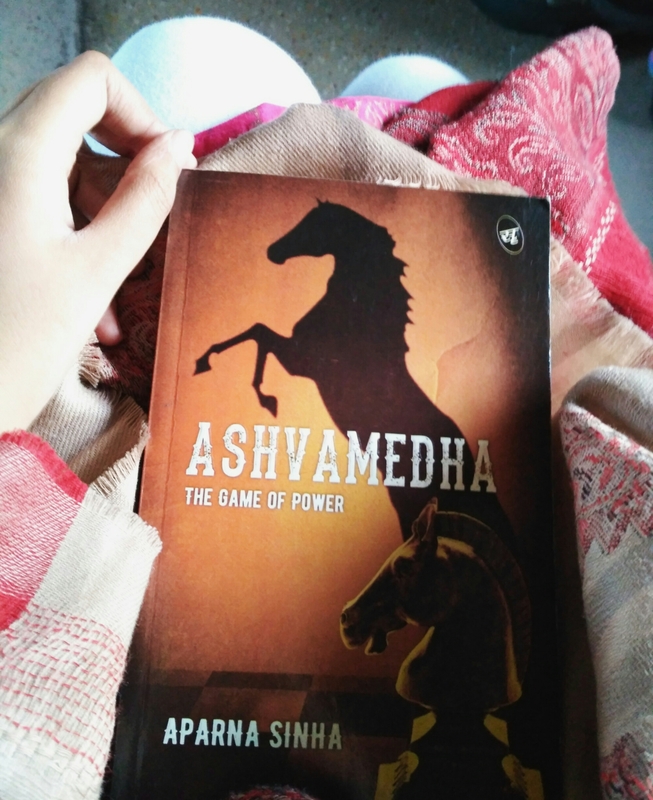 Ashvamedha by Aparna Sinha does not fail to deliver when it comes to the plot and theme. Ashwin Jamwal, a politician with his heart at the right place is a hero that all of us readers can swoon over. He can bend a few rules and grease a few palms to do the right thing for the general public. Ashwin seems to be the only candidate suitable to lead the country. But amidst this upwards journey of life, one wonders if he is being played upon? The story is full of thrilling action, murderous crimes, blatant corruption and a mysterious man, Hades that forces you to turn the page. The characters are well developed and interesting. There is a hint of suspense and drawing throughout the book and it leaves you wanting to know more. The twist at the end is quite catchy and satiates a book lover’s mind. However, it took me a while to grasp the incidents in the beginning of the book and it was after 30-40 pages that I got entirely interested in the book. The dialogues were slightly amiss, they lacked the punch and flavour that you would normally expect in a political thriller. It was a tad bit monotonous and had there been a more power-packed conversation the book would have been an even better read.